Former Chief of Defence Staff and retired RCAF Gen. Tom Lawson told Radio-Canada the nature of battle has changed dramatically and the training must change. He said the battles in the Middle East with isolated pockets of enemies have challenged the air arm and the emergence of technologically advanced aircraft from traditional adversaries needs to be addressed. 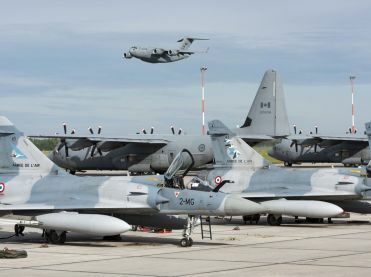 “And then as Russia and China introduce stealth into their fighter forces, how is the Cold Lake’s Weapons Range going to be developed to upgrade the training sites to prepare Canadian and allied forces to train for that?” Lawson said. The Air Force isn’t saying when the next Maple Flag will be held but it’s said it’s committed to continuing to host the exercise.